Painting your house does not only add style and character it can help preserve the structural integrity of your home. Therefore, other than choosing your preferred colour you must also consider the quality of the paint you will use. Check out the list of relaxing and cosy homes of your favorite celebrity and let us know which one you like the most. Want to have a comfy living room? Well, this might help you. Selena Gomez’s living room may look simple but it’s homey. The room is mixed of neutral colours a perfect combo to relish in the comforts of home while you relax and converse with your family and friends. A serene neutral palette balances large size sofas and increased a sense of dimension. Stephen Curry is one of the star players of the Golden State Warriors. 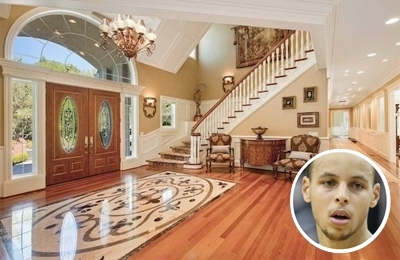 Curry and his family live in a 10,000 square-feet mansion in Alamo. 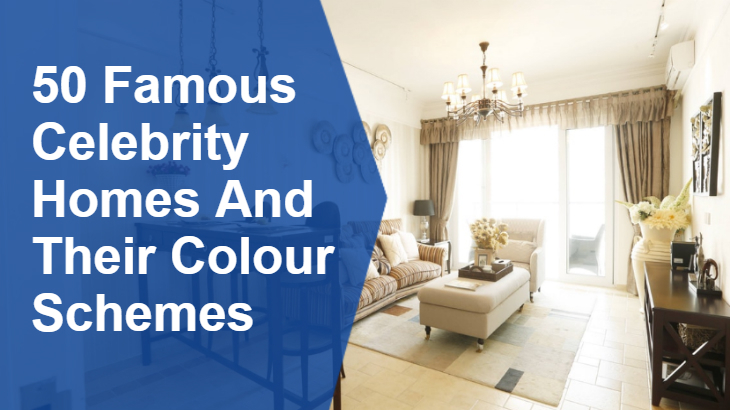 The house is filled with neutral colours such as brown, yellow, and white. Although these shades possess different effects, when they are combined together it will instantly make the room bright, warm, elegant and also the feeling of naturalness. True that you can never go wrong with white but brown can make your living room feel a lot warmer and dramatic. 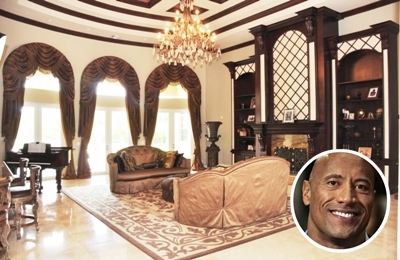 This is why Dwayne Johnson likes the earthy shades of brown because it resembles the energy from nature and creates a more inviting room, especially when you match it with beige coloured wall and massive size windows. 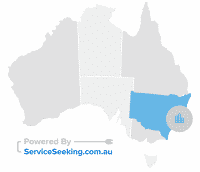 Cate Blanchett is an Australian actress and theatre director. Cate and her husband Andrew bought a new property in Crowborough district of East Sussex, England. One of the best spots is this massive white bedroom. It looks very serene and clean. The French chandelier perfectly compliments the wooden paneled flooring. White does not only represents purity and cleanliness – when using it as the main colour of your living room it can create an illusion of a much wider and brighter room. 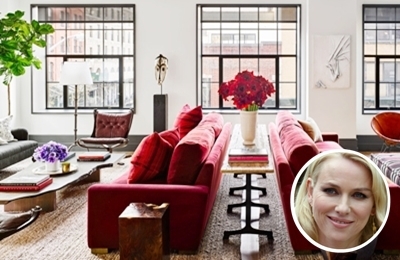 This why Naomi Watt’s is so in love with her place and considers it as a grown-up home. White coloured walls can make neutral to dark coloured furniture stand out as it blends easily and beautifully. 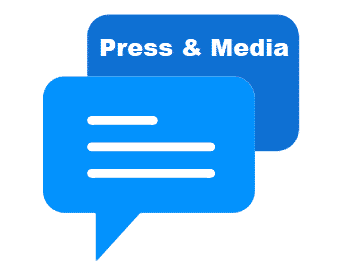 Leonardo DiCaprio is an American actor and one of Hollywood’s famous male stars. 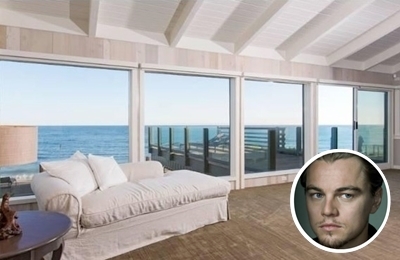 Although he loves to buy real estates properties his beach house in Malibu perfectly fits his needs to unwind. Using white and brown colour palette effortlessly lets you connect to nature. These shades are simple and calm. It makes the room a perfect place to meditate and distress. Gordon Ramsay is a British celebrity chef who is best known for his skills in cooking and strong personality. 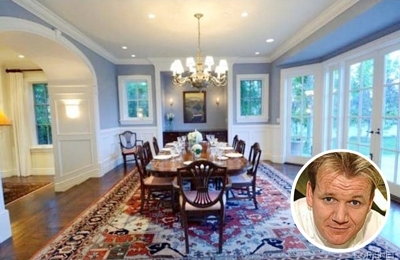 His newly bought home in Bel Air home in Los Angeles cost him $6.75 million. One of the best spots in his new home is the dining area – it is a combination of classic and modern design. The colours of the wall, furnitures, and floor mat make the room look elegant. Miley Cyrus is a popular American singer and best known for her television series Hannah Montana. 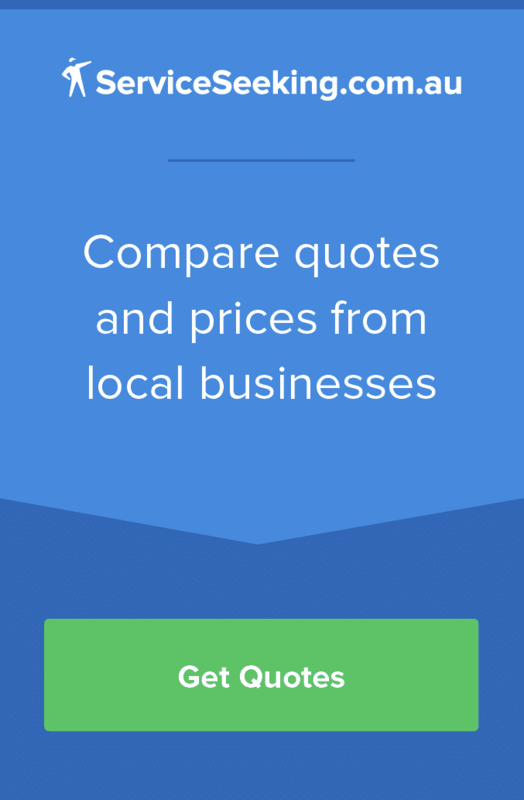 In 2017 she bought a modern farmhouse in Franklin, Tennessee. 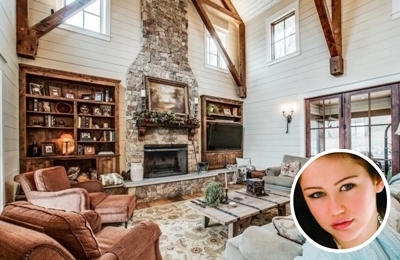 It is perfectly designed to suit Miley’s needs to relax while being away from the cameras and shows. The rustic and brown coloured furnitures compliment the off-white coloured wall which makes anyone feel at home. Angelina Jolie is an award-winning American actress and humanitarian. In 2016 she moved into a new house with her children in Hidden Hills. There were series of renovation and one of which is the dining room. She uses a purple colour palette which shows her strong and mature personality. What makes it look fancier are the white and gold curtain and chandelier. Robert Downey is an American actor famously known as Iron Man. Downey and his wife Susan remodeled their windmill house in 2017 and you can already tell how artistic the designs are – just like the living room. They use different colours to make the room look vibrant especially the fireplace. The sunken living room feels open, intimate and inviting.